Expected yield: Expect 500 grams per m2 indoors and minimum 500 grams per plant outdoors. 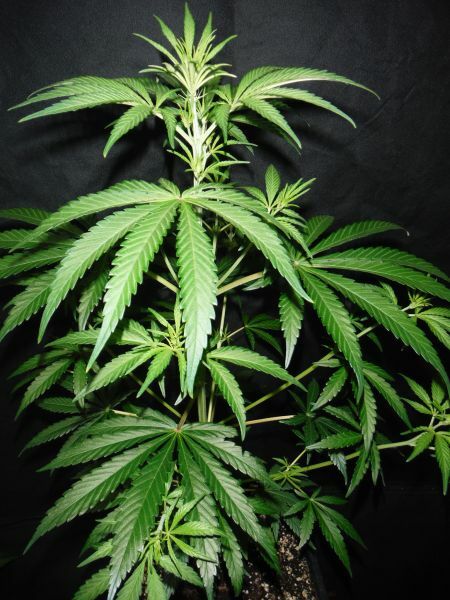 Flowering period: Indoor flowering one should be able to find a 9 weeker but the range would be normally 10-12 weeks...depending upon the phenotype selected as a mother. Would not recommend for outdoors flowering in the Northern Hemisphere unless in a greenhouse and then it would require shading to complete the cycle. In the Southern Hemisphere June would be an expected time of completion, but too south again we would not recommend for outdoor flowering to completion as the cold and rains can inhibit the plant finishing properly. Recommendations: For the grower who is keen to learn about Haze hybrids�so preferably not first time growers. Special Notes: A delight for those who wish to get flavor in a haze without loosing the haze effect. The potential to get a very monstrous yielding plant in this seed is more than plan luck! Click here to visit "Pink Floyd (CM x Hz (AC)) " forum!